Post, Karen. Brand turnaround : how brands gone bad returned to glory and the seven game changers that made the difference. McGraw-Hill, 2012. Gaalen, Anneloes van. Indie brands : 30 independent brands that inspire and tell a story. BIS Publishers, 2011. In the mid-60’s, a popular Western on television used a theme song that was more memorable than the series. “What do you do when you’re branded …” Yet the negative connotation of the word brand would soon change. By the 1980’s businesses were involved in branding, developing positive impressions about their products and companies in the minds of customers. Organizations put their focus on managing users’ experiences in the marketplace. By the end of the millennium, even people and careers became brands. Self-improvement at work no longer meant enhancing one’s abilities or upgrading one’s skills. The emphasis changed to “personal branding,” which is largely self-packaging. As living entities, brands grow and thrive, or they stumble and fall. If they are damaged, they recover or die. For brands in trouble, Karen Post (Branding Diva) shows how to stage a comeback. In her new book Brand Turnaround, Post examines 75 individual brands that experienced meltdowns, including public scandals, product recalls and deadly accidents. She then provides 7 specific strategies for recovery. She includes examples of once beleaguered brands that became stronger after their crises, such as Tylenol’s cyanide scare in 1982 and Martha Stewart’s conviction in 2002. She also discusses missteps and mistakes made by companies, such as BP during the Deepwater Horizon oil spill in 2010. She shows that organizations that embrace change are the best poised for recovery. Brands with personality are the subjects of Indie Brands by Alleloes Van Gaalen, a quirky little book that showcases 30 brands that are owned by autonomous young people from (mostly) Europe and North America. These brands are independent in that they are not supported by corporate funds and they embrace an alternative lifestyle. Each brand features the story of the entrepreneur and the product, with a generous supply of photographs of the advertisements, the owners and the company’s workspace. A number of products are sustainable, organic or fair trade, including OAT from the Netherlands, creator of the world’s first biodegradable sneaker and NU from France, producer of “green” blue jeans. Brands from the food industry include Fritz-Kola from Germany, the “most wide-awake” cola in the world with 25 mg of caffeine per 100 ml. Contrast that with 9 mg per 100 ml of Classic Coke. 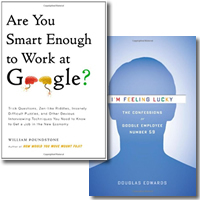 Both of these books are well worth reading. Brand Turnaround would be especially useful to entrepreneurs as well as to marketing students. Indie Brands is just for fun.